With its beautiful slightly curved neck and oversized glass shade, the St. Ives Swan Neck light is an truly elegant lighting design. 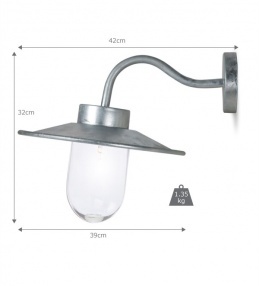 Manufactured using the hot dipped galvanised technique, this St. Ives steel light is extremely robust and weatherproof, including in costal regions, and is also suitable for indoor use. 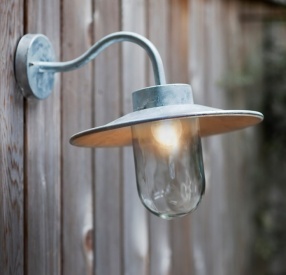 Please note, the hot dipped galvanised process creates a unique finish to each light. Excellent quality and looks great on our Victorian cottage. 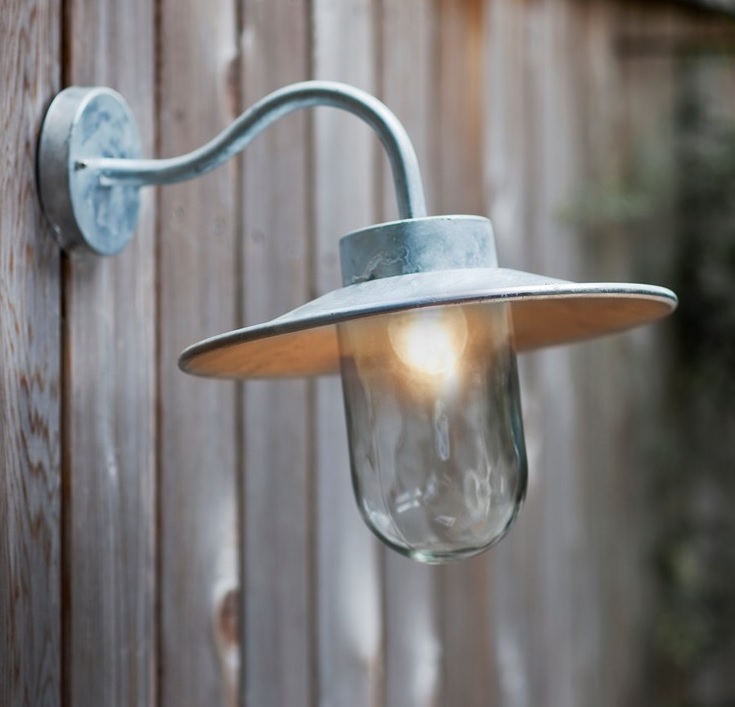 Many thanks for the feedback on the Swan Neck Light as it is a recent product that has proven very popular. If possible I would love to see a photo or two.